The findings of a study about the economic value of shark diving tourism in Australia has recently been published. Snorkelling with whale sharks is one of the most popular activities for tourist divers. A study of has revealed that shark dive tourism in Australia contributes at least AUD$25.5 million annually to the country’s economy. These findings highlight the importance of proper management of shark species to support a sustainable dive tourism industry. Focusing on four main shark viewing industries in Australia, the study was a collaboration between Australian Institute of Marine Science (AIMS), Flinders University, University of Western Australia, and Southern Cross University. It surveyed 711 tourist divers from May 2013 to June 2014. 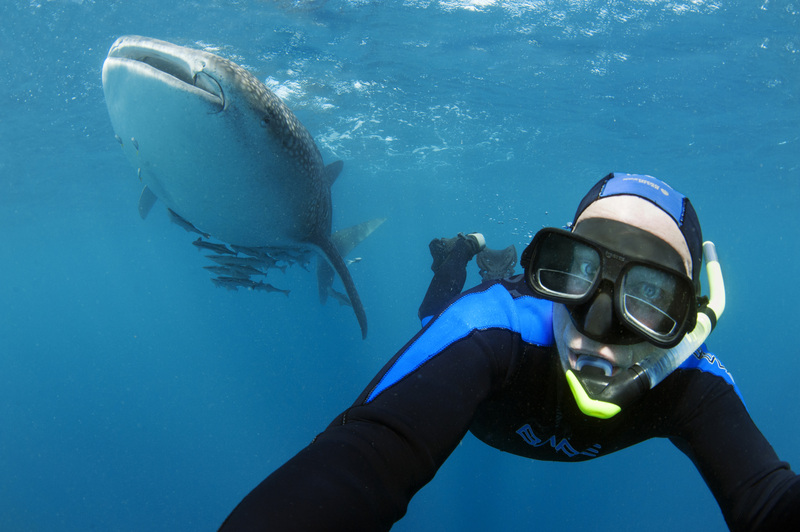 It was found that the most popular draw for the tourists surveyed was the opportunity to snorkel with whale sharks, yielding an estimated AUD$11.6 million annually. Next was white shark cage diving off Port Lincoln in South Australia, which contributed AUD$7.8 million in direct costs to the economy in 2013 to 2014. “On top of costs directly associated with shark viewing, white shark and whale shark tourists spend as much again in additional expenditure in the region,” said lead author Flinders University Associate Professor Charlie Huveneers. He is also the research leader of the Southern Shark Ecology Group. In fact, the study found that 83 percent of the white shark cage-divers would not have visited the Port Lincoln region and spent money there if there were no cage-diving opportunities available. “These additional revenues show that the economic value of this type of tourism do not flow solely to the industry, but are also spread across the region where it is hosted, even in countries with developed economies that are not typically considered to have a dependence on tourism for revenue,” Associate Professor Huveneers added. The next two top shark tourism activities in Australia are diving with grey nurse sharks off the coast of New South Wales and Queensland, and swimming with reef sharks at Osprey Reef in far North Queensland. The findings of the study was recently published in the recent issue of Reviews in Fish Biology and Fisheries journal.